The demands of mobile are unique; know what you’re up against. Feel free to debate smartphone adoption rates and quality of cell coverage for farmers. But farmers have smartphones, and short-form video (not just advertising) has a growing presence on mobile. 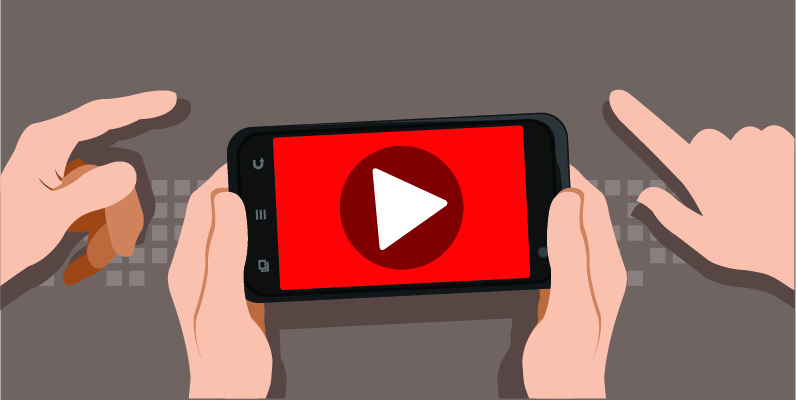 Best practices for video on mobile have developed quickly. The industry has moved past click-to-play, 30-second ads because the consumer already has. Think about it: do you really think a farmer holding a phone will purposely click on a commercial he or she has already seen on TV? 1. Your video may appear in a scrolling stream or newsfeed. The preview image or video must be compelling enough to make a farmer stop mid-scroll. You can’t pin your hopes on a great opening shot, looping video or preview clip. Promise value to the farmer. 2. Your video may need to get their attention with no sound. On mobile, there are auto-play ads with sound. Ads in feeds or on mobile pages also auto-play (or preview loop) with no sound. To get attention, the value of the video must be clear without a voiceover, dialogue or music. This is a high creative hurdle, but there are ways around it. For instance, some marketers have begun adding captions to videos. 3. This is old news, but your video is not an ad and you don’t get 30 seconds. OK, you may get more than 30 seconds, but you better hook your target in five seconds. Many marketers now try to make video that last five seconds or less. Why? For one, viewers can skip YouTube ads after five seconds. A scrolling newsfeed also moves quickly as well. Does that mean there’s no place for longer video on mobile? Of course not, but you must be honest about exactly how long your content can hold the attention of a farmer clutching a mobile device ready to click onto the next item. Many people will gladly watch a five-minute instructional video that shows them exactly what they need to see. Know what value you’re offering. 4. The screens are tiny. We all love agricultural landscapes and crop shots. However, mobile reduces the detail of your sweeping vista to a five-inch screen — and that’s only if a farmer first clicks on a preview one-third that size. 5. Frequency is not a thing. Marketers have a hard time accepting this. Reach and frequency are essential elements to all traditional channels because of the passively introduced ads. Even digital display ads are passive. But a growing percentage of online video (especially in social media environments) is user-initiated. They tap the video because it interests them…but you can only plan on them doing that once. Ignore the unique needs of mobile video at your peril. By creating video designed specifically for mobile, you increase your chances a farmer will give your content a few seconds of his or her day.